I love exploring genetics with students. There are very few parts of Biology that have such a clear and immediate application to their daily lives. It is fun to help them lay out family pedigree charts and try to trace various diseases through the family. Also, there isn't a quicker way to get students to perk up then to start talking about chromosomal diseases that can lead to hermaphroditism or color blindness. Last week we wrapped up our study of genetics and the students turned in their projects for the unit (you can view some of them here). It is difficult to believe, but the students of Honors Biology have only 3 more units to go until the EOC is upon us and the year is over. This edition of the week in review (3/19-23) is brought to us by Ashley Garza and Mohammad Chenchar. A genetic disorder is a disease caused by a different form of a gene called a variation, or an alteration of a gene called a mutation. Many diseases have a genetic aspect. Some, including many cancers, are caused by a mutation in a gene or group of genes in a person's cells. These mutations can occur randomly or because of an environmental exposure such as cigarette smoke. Other genetic disorders are inherited. A mutated gene is passed down through a family and each generation of children can inherit the gene that causes the disease. 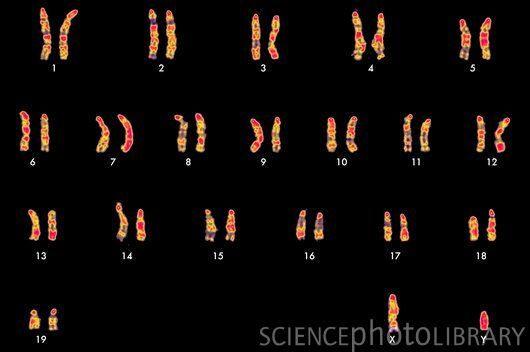 Still other genetic disorders are due to problems with the number of packages of genes called chromosomes. 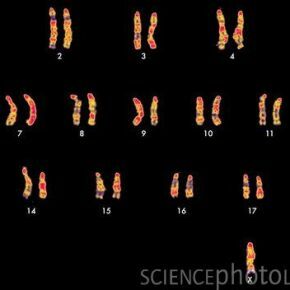 In Down syndrome, for example, there is an extra copy of chromosome 21. This past week our Cobra's in Biology have been learning about Blood Types and Pedigrees. Students learned and practiced how to conduct a pedigree chart by doing class activities and worksheets. Pedigrees are used to study human traits within a family. Some examples of family traits are Skin color, Eye Color or Hair color. In Blood types there are four different types, A,B,AB,and O. By using scenarios students knew what blood type the off spring of two parents would be.